Hope is not about running away from reality. It's about going deeper than a purely surface reading of things. 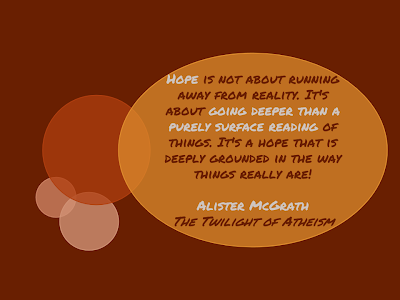 It's a hope that is deeply grounded in the way things really are!